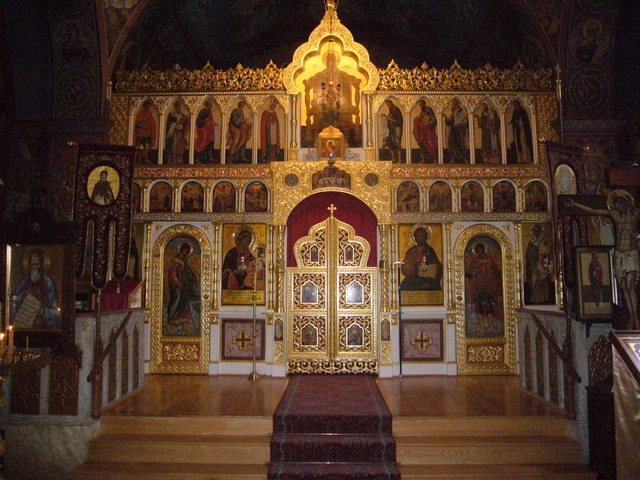 The cathedral of the Holy Trinity Monastery is widely known and loved as the focal point of the prayer life of the monastery. 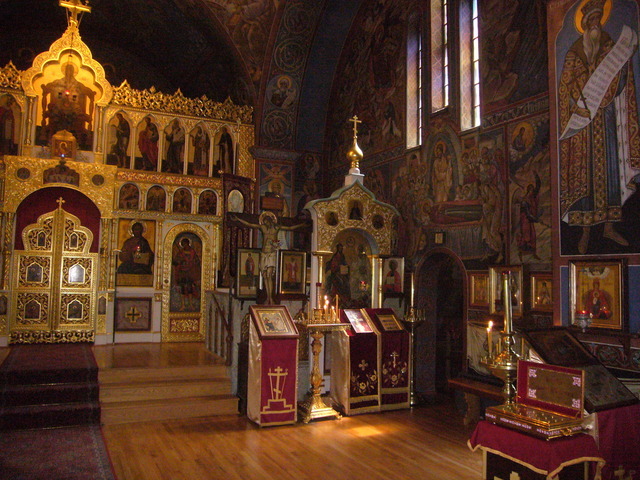 Its unique frescoes, painted by the every-memorable Archimandrite Cyprian, are treasured throughout the Orthodox world, and its many holy icons and relics are greatly venerated by the countless number of pilgrims who stream to the monastery throughout the year for spiritual renewal. 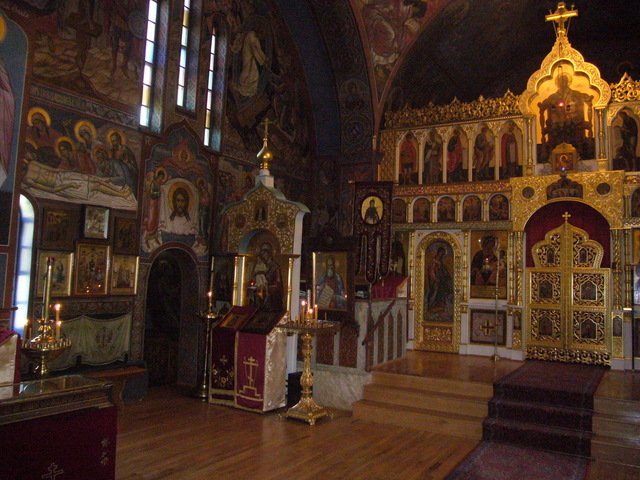 The church is also used by the monks and the seminarians for the rich spiritual life of the monastery. For many years, the fathers of the monastery have been aware of the dire need to update and refurbish the electricity of the monastery churches, including the basement church of St. Job. 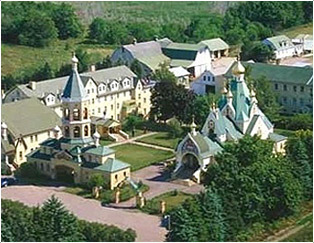 However, this has not been possible due to the financial reality of the monastery, which struggles to maintain the extremely beautiful and unique campus of the monastery and seminary. However, this needs our immediate attention, for we risk the loss of that which we hold so dear to our hearts. The monastery fathers humbly ask those who hold dear the monastery cathedral of the Holy Trinity to consider the project of upgrading the electricity of the church so as to assure many more years of our prayer life, in which we pray for our donors, for the sick and for the reposed. A realistic figure for the updating and renewal of the electricity of the upper church of the Holy Trinity (cathedral) and the basement church of St. Job of Pochaev is $30,000.00. Please help the fathers meet this goal so as to be able to continue worshiping in what is now a National Monument as well as what the ever-memorable Metropolitan Anastassy called the Lavra of the Russian Orthodox Church Abroad. If you wish to contribute, please earmark your contribution for this project to allow us to designate these funds specifically for cathedral repairs.